Originally published in 1928 as part of the Cambridge Comparative Physiology series, this book examines the importance of cilia in the lives of many invertebrate animals. 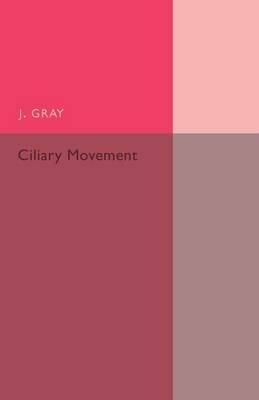 Gray demonstrates how cilia, not muscle fibres, often play the dominant role as organs of contraction and locomotion and explains how ciliated surfaces are co-ordinated. This book will be of value to anyone with an interest in the history of science.